Divorce is a difficult time for parents and their children and requires time and help to grieve the loss of the marriage in order to develop an effective co-parenting relationship. Divorce creates many stressors which require adjustment. 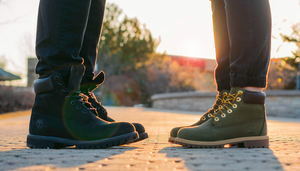 Divorced spouses must learn to accept their new roles as ex-spouses, let go of the feelings involved in the marriage and move forward to new beginnings. After divorce, you must learn to continue your role as a mom or dad while letting go of your role as a spouse. In letting go of your role as a spouse, you must accept that you can no longer control the actions of your former spouse. Diane has expertise in working with separated families and their children. It is important to choose a therapist who is qualified and experienced in working with the emotions associated with family issues. Diane offers Child-Centered Family Therapy for divorcing families using the Two-Home Approach to preserve parent-child relationships. Divorce forces families to adapt to rapid and profound structural and organizational changes within the family unit. Diane helps families reorganize and identify emotional roadblocks preventing parents from becoming effective co-parents. Diane's approach encourages families to become child-centered vs. self-centered to build cooperative, business-like parenting relationships which reduce a child's sense of loss. Divorce Therapy can be completed in 8 to 20 sessions depending on the level of parental cooperation. Find out how your behavior can positively or negatively impact your parent-child relationships. Families of divorce can benefit from early intervention to reduce parental conflict. Over time, most children adjust to divorce and their overall development returns to their pre-divorce state. Children experience a sense of relief when the divorce process is final and comes to an end. The two most powerful predictors of negative adjustment to divorce are continued conflict between parents and the emotional health of the parents. With the proper help, it is possible for your children to thrive post-divorce.